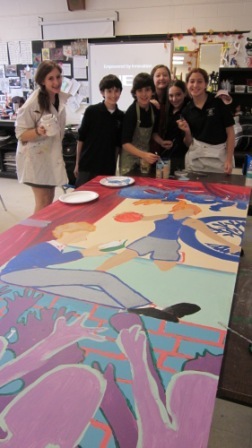 Students meet to experiment with different mediums of art. Students learn how to be effective debaters and compete against each other and other schools in formal debates. DECA is an international association of high school and college students studying marketing, management and entrepreneurship in business, finance, hospitality and marketing sales and service. High school students prepare for, and compete in regional, provincial and international competitions and gain experience in leadership development, critical-thinking and problem-solving skills. Students who love drama will enjoy the opportunity to learn how to improvise well. Students show great courage stepping into the world of theatre – a world that requires imagination, physical eloquence, vocal clarity and a whole lot of gumption. Students learn how to take better pictures and share techniques. Students work together to prepare a wonderful yearbook showcasing another great year at Crestwood. A great opportunity for students who love to write, to help publish a newspaper for the students of Crestwood. Students interested in politics and current affairs prepare for a four day conference, where the students participate in the various committees of SOMA, including the General Assembly, the Security Council, and the Human Rights Committee, as delegates from various countries. Other specialized committees like NATO and the EU were also represented. On these committees, the students submit and debate a number of resolutions, which are modeled on current international issues; as such, the students have to role play and have to be well-versed in the foreign policies of their respective countries, as well as the operations of the UN in general. For students who love to play music, this club is a great opportunity to be part of a smaller group playing current music. Work with other students to prepare for the “jeopardy” type competition against other schools and versus your classmates. Students play chess against each other and learn strategy of the game. This is a club which will allows students to do experiments and build science projects just for fun. YARRD is a club for students who wish to create awareness of racial and religious issues within their society. Being a member of YARRD is not only fun and rewarding, but it is also a great way to learn about social justice issues that affect us all on a day-to-day basis. 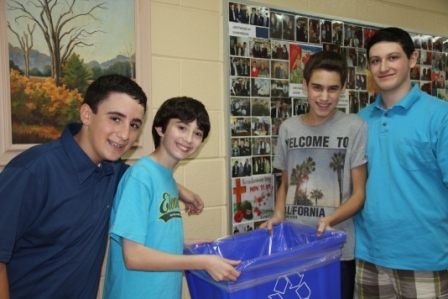 The Environment Club helps to promote the Green Initiative under way at Crestwood Preparatory College. The dedicated members come up with ideas and methods for Crestwood to become a more “green” school. This club is responsible for assisting with all athletic events at the school, spirit week and the year end Athletic Banquet. The Duke of Edinburgh’s Award is a self directed development programme for young Canadians age 14 to 25. The Award Programme is filled with activities that you can do in your spare time in the areas of Community Service, Skills, Physical Recreation and Adventurous Journey. Crestwood Voices is a group of staff and students who love to sing in a variety of styles and genres. 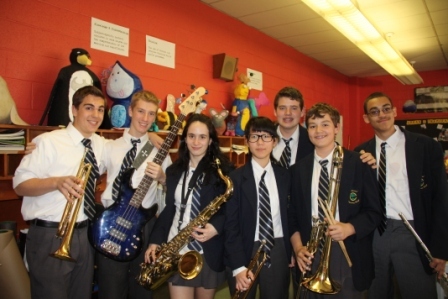 We perform at Crestwood’s Music Nights, as well at other events in the school and surrounding community. The Crestwood Ambassadors is a program that helps to prepare and motivate grades 10 and 11 students to provide leadership and peer assistance to others at Crestwood and in the community. Students develop skills in communication, interpersonal relations, coaching, leadership, teamwork, and conflict management, and apply them in roles as ambassadors in and around the school. Robotics gives students an opportunity to work on some exciting projects in preparation for competition in the First Lego League. Students will be working collaboratively and learning about the building and programming processes of the robots. The mission of this program is to empower girls and young women to believe in themselves and to help them reach their full potential by providing a mentoring relationship between younger and older students. Grade 11-12 female students are given a wonderful leadership opportunity while providing answers and reassurance to younger grade 7-8 female students.